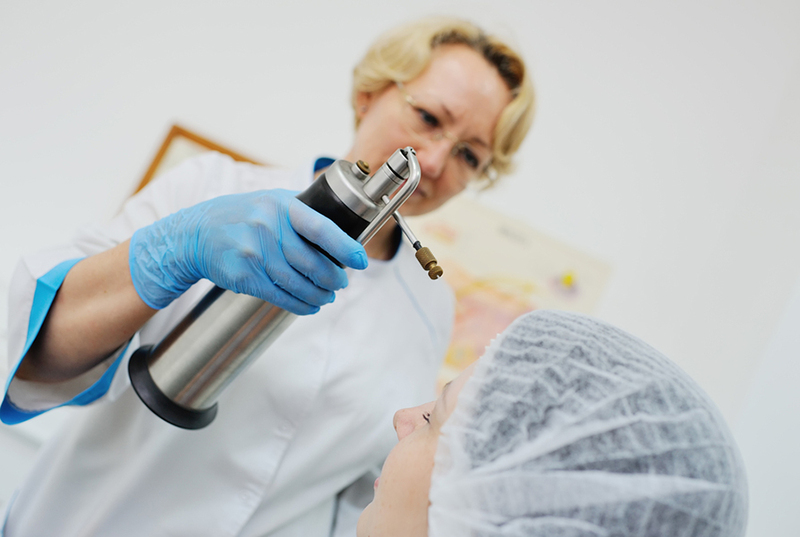 This treatment uses liquid nitrogen sprayed onto lesions to freeze the skin leading to destruction. 5-FU is used to treat sunspots and selected superficial intraepidermal carcinoma. 5-FU is a topical cytotoxic agent (antimetabolite) ,it is toxic to living cells but more so to certain cancer or precancerous cells. 5-FU treatment results in a localised inflammatory reaction. It is generally well tolerated and is a cost effective treatment. Treatment regimes vary from daily to twice daily and from 2-8 weeks. PDT is a form of light treatment for areas of solar keratosis (sunspots) and low risk superficial skin cancers. Then a topical light sensitizing cream is applied to the treatment areas and absorbs into the skin over a period of 3 hours. Abnormal cells absorb more of the medicated cream. Using an Aktilite lamp the cream is activated producing a photochemical reaction that preferentially damages and destroys the skin cancer / sunspots. Lamp activation takes 7-10 minutes. This one off treatment results is a mild sunburn like reaction that resolves in approximately 10 days. Daylight PDT is completed onsite at our Stafford Clinic. The treatment causes a localised inflammatory reaction.